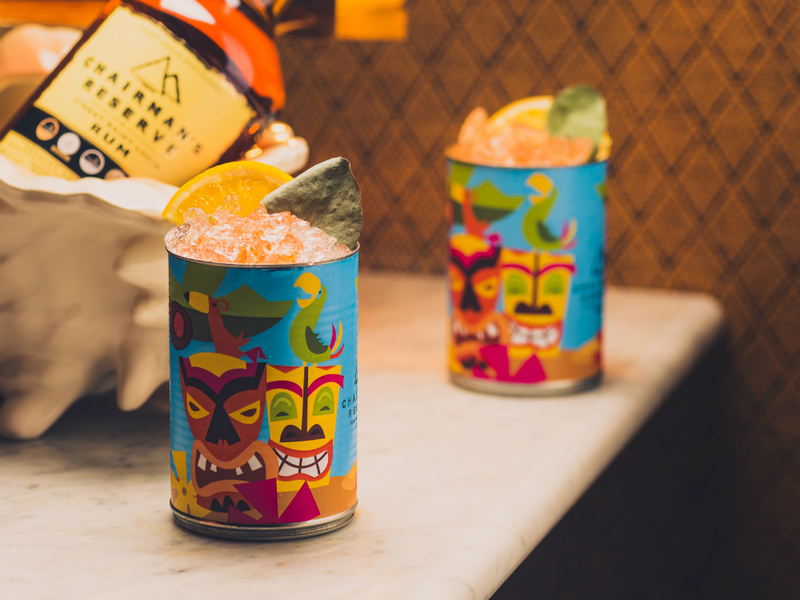 With National Rum Day fast approaching (put it in your diaries people, it’s on August 16th), we’re spoilt for choice on where to kick back and celebrate. 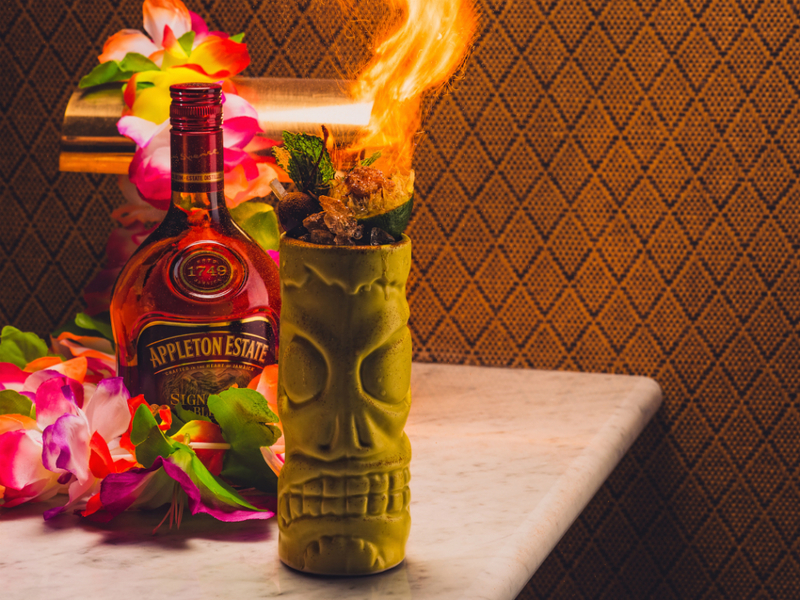 We don’t need to ask why we’re celebrating the versatile drink – whether diluted with coke, shaken into a Daiquiri or mixed into a punch, rum is undoubtedly a crowd favourite. The question however, is where to celebrate and with which delicious cocktail. 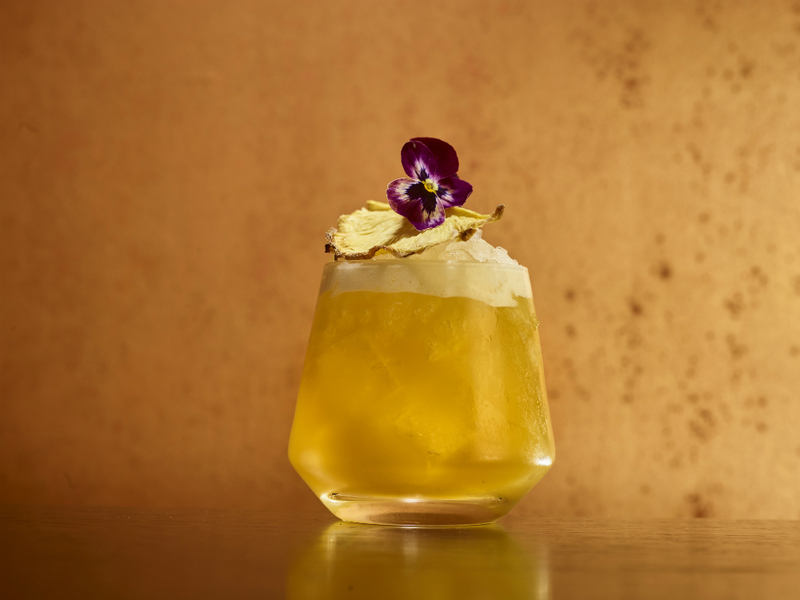 Add the rum, lime juice, pineapple juice, absinthe, passion fruit syrup and sugar to a cocktail shaker, and shake well until the ingredients are completely combined. Next, add the cubed ice to the chilled glass, and strain the drink through a Hawthorne strainer and a small fine sieve positioned over the glass. Pour the Visciolata Cardinale over the top of the cocktail gently, so it floats. 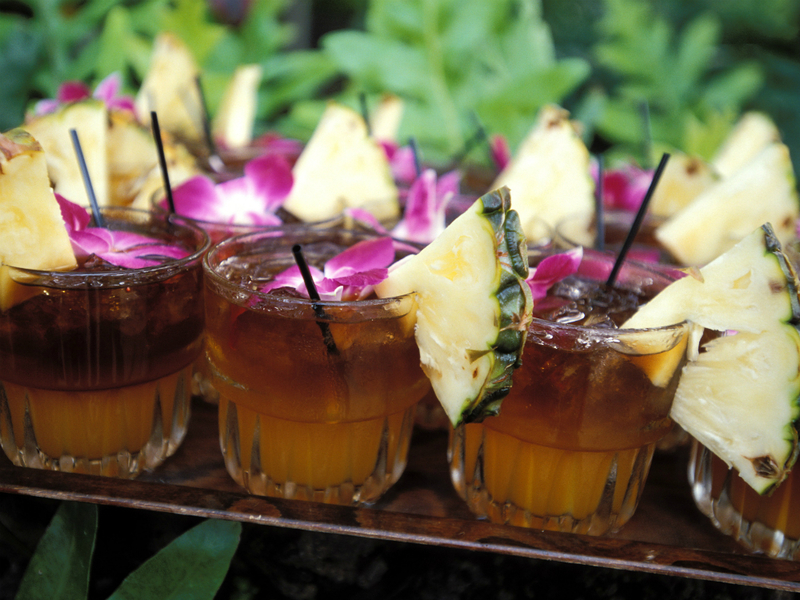 Finally, garnish with the pineapple, mint and viola flowers. Method: Add all ingredients to a cocktail shaker, then add ice. Shake well and strain into a glass full of fresh ice. Add all ingredients, except the Wray & Nephew, to a cocktail shaker, then add ice. 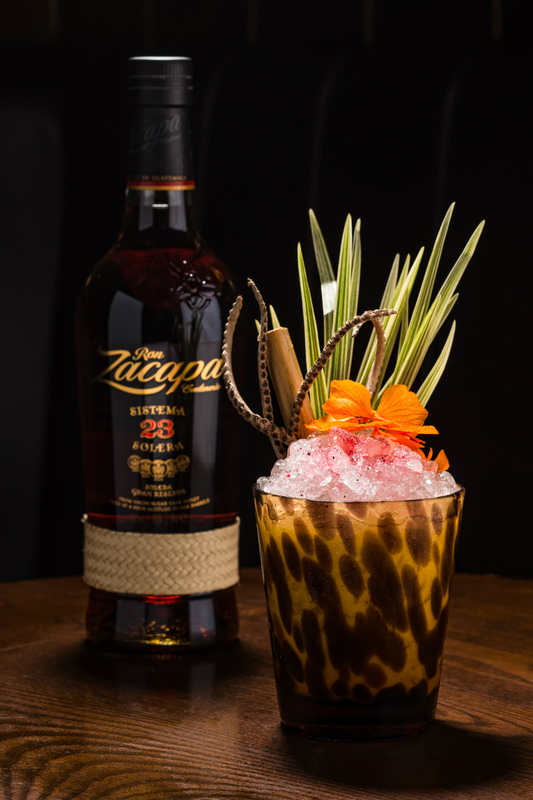 Shake until well chilled, then strain into a tiki mug full of fresh ice. To create the garnish, take half of a lime and press out the juice in a citrus squeezer, creating a small cup. Add a sugar cube and gently pour Wray & Nephew onto the sugar. Gently light the cube. When the flame is out the drink is ready to enjoy. Note: the flame is not necessary to enjoy the drink! Bring 250g white sugar and 250ml water to the boil with the zests of 10 limes, 8 cloves & 1 star anise. Once boiled, let cool. Add 250ml of white rum and 1.25ml almond essence & let infuse for 24 hours. Strain. Shake and strain all the ingredients and top up with palm drink.